These inexpensive, efficient hot plates are equipped with a chrome top and a tubular heating element that lifts up for easy cleaning. 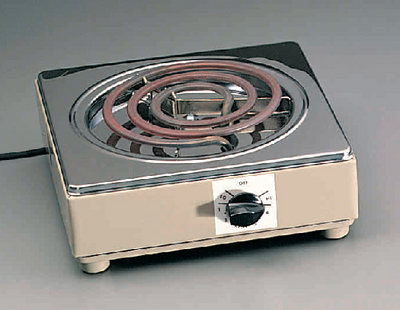 Available in single or dual element models.Double-burner models have individual heating controls. 120 V.